I modified this recipe from Shaina at Shadylane. 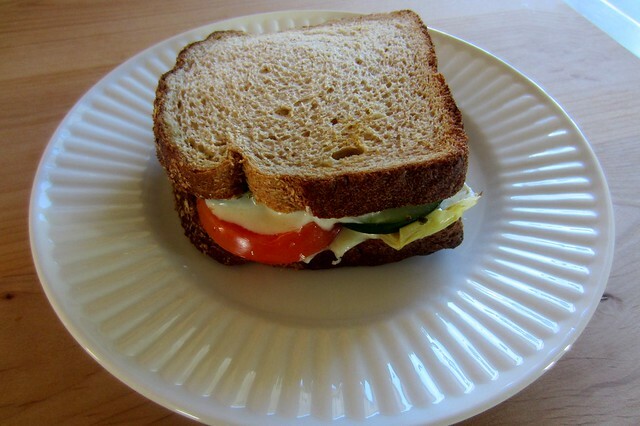 This is one of my favorite sandwiches! 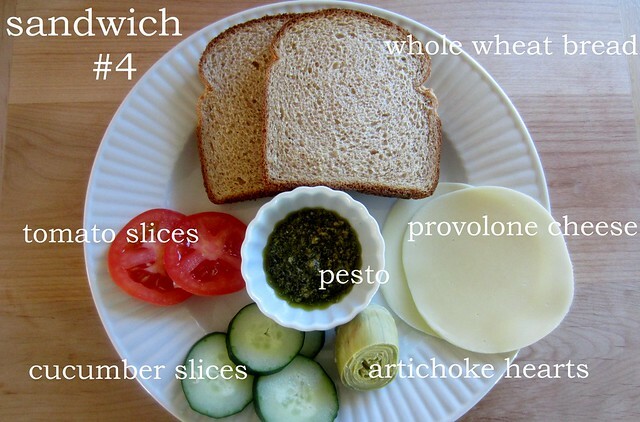 I start by spreading pesto on one slice of whole wheat bread. Then I layer provolone cheese, tomato slices, cucumber slices, and artichoke hearts. I top with another slice of provolone cheese and the other slice of whole wheat bread. (Shaina adds olives, garlic, and olive oil in her sandwich). I wrapped the sandwich in foil and baked it in the oven at 450* for 10 minutes. This is another one I highly recommend! :) Love it.